“We like to say it’s like a live version of Whose Line without the tall guy, black guy, and rich guy,” said comedian Colin Mochrie, formerly of the Emmy-nominated improvisational show Whose Line is it Anyway? 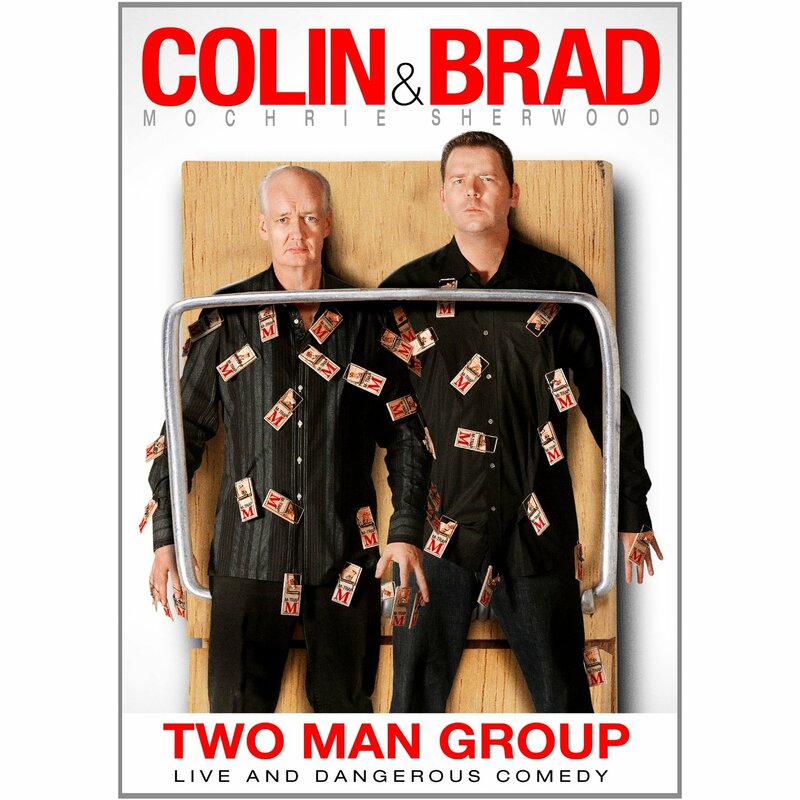 Mochrie is explaining the side-splitting show he’s doing with Brad Sherwood, another Whose Line star, as the funny boys have teamed up for the “Colin & Brad: Two Man Group” tour. The comedians will be visiting the Zeiterion Performing Arts Center in New Bedford on Feb. 23. The fun begins at 8 p.m. The dynamic duo have been doing shows as a pair for nine years, performing anywhere from 50 to 100 shows each year. With more than 20 years as comedians apiece, that’s a whole lot of laughs. And that’s the way they like it. Mochrie recalls a time when an intoxicated woman in the crowd began walking down the isle and shouting at them to do a song about menopause. But picking topics for sketches, as well as participants from the crowd, can be tricky, said Mochrie. While they don’t want someone who is going to try to take over the scene and use it as their audition, they also don’t want someone to be nervous and too quiet. As noted, Mochrie and Sherwood agree that not having anything planned is the beauty of the show. Typically, they fly in the day of the show, get together for sound check and create a list of games they’re going to play. That’s pretty much it for preparation. Mochrie and Sherwood first became acquainted in the early 1990s while appearing on the British version of Whose Line is it Anyway? They continued being co-workers and friends through the show’s eight-year run on ABC, a stint that earned the show an Emmy nomination. Sherwood, who earned a degree in acting from Wright State University in Dayton, Ohio, got the idea to do a two-man show with Mochrie shortly after Whose Line stopped filming in 2004. He had been performing as a two-man group with a friend before approaching Mochrie, also a professionally trained actor, as he graduated from Studio 58, a theatre training school located in Vancouver. Their DVD, Two Man Group: Live and Dangerous Comedy, hit stores in 2011. The same year, the “Whose Line?” cast was reunited in Vegas for Drew Carey’s Improv-a-Ganza, a series that aired for one season on the Game Show Network. In addition to Whose Line, Mochrie and Sherwood have worked on other projects: Mochrie has been heavily involved in independent and small movies. He is an affiliate of The Movie Co-op, a Canadian venture to help produce great Canadian movies funded and run by the artists themselves. Of course, he has appeared in commercials as the Nabisco Snack Fairy. He plans to release a book later this year. For Sherwood, who in the last fifteen years has guest starred on The Tonight Show with Jay Leno more than 100 times, and made several appearances on VH-1’s I Love The 80’s’ & 90’s, and Talk Soup, recently served as a guest announcer on the Price is Right. When he’s not onstage, Sherwood is playing guitar. He said while he likes hard rock and country, he enjoys writing folk music in his spare time. He also likes to sample Mochrie’s food, as Mochrie loves to cook. But for the most part, they just want to make people laugh. Tickets, which range in price from $45.50 to $47.50, can be purchased at the Zeiterion Performing Arts Center Box Office, located at 684 Purchase Street in New Bedford, Mass., by phone at 508-994-2900, or online at www.zeiteiron.org.